The following list of cheese textures highlights the basic characteristics of cheeses which can be grouped together. 1. FRESH cheese is very young and soft and does not have a rind. Pale in color, it is uncooked and unripened. It is full of moisture (some FRESH cheeses have not been drained of their whey. Ricotta is one example.) Goat cheese is typically consumed as a FRESH cheese (2 weeks to 2 months old). In general, FRESH cheese is best purchased and consumed in late summer to early fall when there will be more depth and variety of flavors in the milk used to produce the cheese. FRESH cheese is often used in cooking. Think ricotta, feta, goat cheese, cottage cheese, cream cheese, fromage blanc, farmers cheese, Italian mascarpone...and my favorite - the fresh mozzarella made from water buffalo milk - Mozzarella di Bufala Campana. Eaten with fresh tomatoes and basil with a drizzle of extra virgin olive oil - truly sublime! Enjoy an authentic mozzarella, tomato, and basil salad, Insalata Caprese, here. 2. "BLOOMY RIND" or soft-ripened cheeses have been treated with mold so that they ripen from the outside rind inwards. 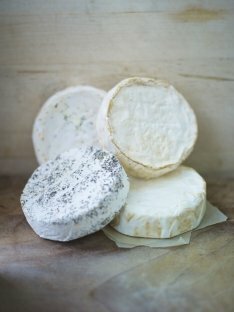 The thin crust or rind is white and sort of velvety or fuzzy to the touch...thus the word "bloomy" refers to that tactile sensation when handling these cheeses. This cheese's texture is quite distinctive. The rind is generally edible, though many people choose not to eat the rind. 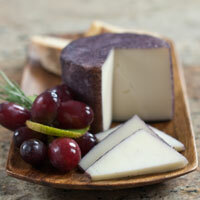 Soft-ripened cheeses, as the name suggests, are semi-soft and creamy in consistency. Think of Brie de Meaux or Brie de Melun, Camembert de Normandie, and the wonderfully rich Triple-Crème cheeses such as the French Brillat-Savarin, Pierre Robert and Boursin. Triple-Crème cheeses have a minimum fat content of 74%, which is why they taste so rich and fantastically good. While Double and Triple-Crème cheeses are grouped under the "BLOOMY RIND" cheese texture category, they deserve their own category which I have included as #9 below. Many cheeses in fact overlap from one type to another, depending on method of manufacture and length of aging. 3. WASHED-RIND cheeses have been rubbed and immersed in a solution of brine, wine, beer or grape brandy (marc) to bring about an exterior mold which causes the rind of the cheese to turn orange. The characteristic pronounced smell of WASHED-RIND cheeses is a result of the presence of this mold (in this case a very desirable mold and not a negative characteristic at all!). Sometimes these cheeses are called, fondly, "STINKY" cheeses due to their strong smell. But the taste is much milder than the smell might suggest! 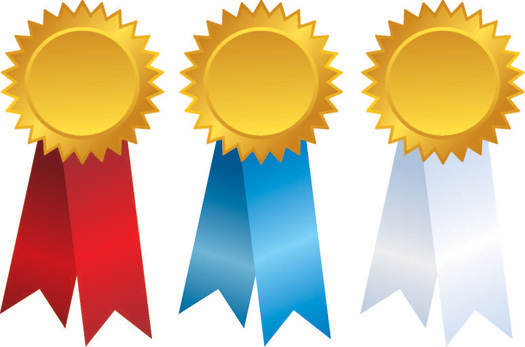 Mold is in fact a significant feature in 3 of the cheese categories - BLOOMY RIND, WASHED-RIND and BLUE-VEINED. The rind is edible and it surrounds a soft, or semi-soft interior. These cheeses are intense and aromatic. Some examples of WASHED-RIND cheeses are Muenster, Limburger, Tallegio and Pont l'Évêque. 4. SEMI-SOFT cheeses have a flavor which could be described as nutty, delicate, earthy, like wet leaves or hay. They may or may not be cooked or pressed during manufacture. Some common examples of SEMI-SOFT cheese are Morbier, Fontina, Tomme de Savoie. 5. SEMI-HARD cheeses are aged (typically 3 months to 2 years) until the moisture content is reduced to a range of 40-50%. They can be either cooked or uncooked during manufacture. SEMI-HARD cheeses must never have mold in the interior. With their hard texture, they are excellent for cooking, grating and for melting. 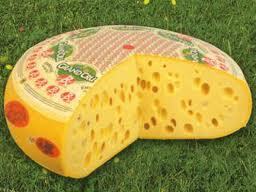 Some well known examples of SEMI-HARD cheese textures are Gouda, Edam and Emmental. 6. HARD cheeses are aged for a long time so that the moisture content is reduced to a range of 30-40%. HARD cheese must never have mold in the interior. They generally have a crumbly exterior texture. Aged for 6 months+, these cheeses are wonderful for grating, crumbling or using as a topping in baked dishes. Think Cheddar, Gruyère, Manchego and for the VERY HARD cheeses, think Parmigiano-Reggiano, Pecorino di Romano. 7. BLUE-VEINED cheeses are well known and distinctive due to the veins and pockets of color they contain (ranging from blue to blue-green to blue-black). The markings are caused by Penicillium mold spores which the cheesemaker adds during manufacture. During the ensuing aging process the cheeses must be exposed to circulating air which in turn feeds the growth of the bacteria. So these cheeses are regularly pierced with skewers thus allowing oxygen to reach the interior, and cause the blueish colors to develop. Good examples of BLUE-VEINED cheese are Maytag Blue, Gorgonzola, Stilton (considered one of the Kings of Cheesedom), Roquefort and Bleu de Bresse. To make the finest Gourmet Blue Cheese Dressing, click here. 8. DOUBLE and TRIPLE-CRÈME cheeses are buttery, rich, velvety soft in texture and quite frankly, decadent! The reason they are so rich is because cream is added to the milk during manufacture. DOUBLE-CRÈME cheese must contain a minimum of 60% butterfat and TRIPLE-CRÈME cheese must contain a minimum of 74% butterfat. However, the moisture content in both types of cheese is very high and so the actual fat content is much lower, in the range of 20 to 35%. Thank Goodness! Please pass me another gooey slice of Brillat-Savarin! Well-known DOUBLE-CRÈME cheeses include Gratte-Paille, Petit-Suisse and Mascarpone. TRIPLE-CRÈME cheeses include Boursin, Explorateur, Brillat-Savarin and Pierre Robert, among many others. 9. PASTA FILATA cheese means spun paste in Italian. The words refer to the process by which these cheeses are made. They are kneaded (like bread) and the curds are stretched while warm, resulting in an elastic texture with a stringlike quality. After stretching, the cheese is shaped or molded into its appropriate shape. Mozzarella is a PASTA FILATA cheese, as are Provolone, Burrata and Asadero, among others.